Extra Bumpup of 3500.Extra Bumpup of 3500. Min Purchase : Rs. 5000 , Max Discount: Rs. 1000. Min Purchase : Rs. 5000 , Max Discount: Rs. 1000. The S9 is slightly shorter than last year’s S8, but you get the same 5.8-inch screen thanks to the smaller bezels surrounding the display. This next generation device is expected to include broad of extras such as a giant edge-to-edge display, faster processor and improved battery life plus wireless charging. A new and improved dual-lens rear camera could also bring augmented reality to the device. This phone is just out of the world, the screen size and the phenomenal technology is commendable. It beats almost all the latest phones. I love the functions of the phone. Sometimes the size of the phone can cause a problem. The Samsung Galaxy S9 is a great phone, but it&apos;s not really a big update over the Galaxy S8 series. The dual-aperture feature makes less of a difference than you would think, and the Pixel 2 remains a better camera phone. The Galaxy S9 is an excellent phone!! The large screen does not translate to a massive body, the phone is quite light and the display is awesome. The camera aperture is the widest I have ever seen in a smartphone yet. The curved glass body is comfortable to hold, With the smart lock feature based on our location iris scanner and the fingerprint scanner is hardly used. Display is one of the best in the market. Fast charging feature is not that fast. 28 Pricebaba users have written their experience with Samsung Galaxy S9. If you own Samsung Galaxy S9, please do leave your feedback too. Lowest price of Samsung Galaxy S9 price in India starts at Rs. 48,900 Samsung Galaxy S9 is available on Flipkart at Rs. 57,900 and on Amazon at Rs. 48,900. Prices updated on 24th April 2019. Samsung launches a flagship device every year and its flagship for 2018 was the Samsung Galaxy S9 and Galaxy S9+. 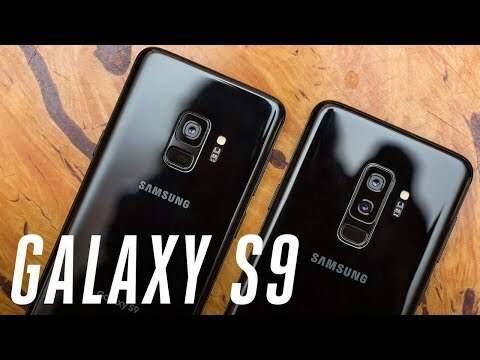 Talking about the Galaxy S9, it is a premium device with top of the line specifications and features. The Samsung Galaxy S9 bears a premium design and build quality, it has a metal body and a glass back. The phone has got an Infinity Display that spans 5.8 inches and produces a resolution of 2960 x 1440 pixels, which makes it a Quad HD+ display. It also gets Corning Gorilla Glass 5 protection for additional durability. The bezel-less display looks stunning and offers a great viewing experience. Unlike other flagship devices, the Samsung Galaxy S9 has a single camera on the back. The rear sensor is of 12-megapixels and can click good pictures. The rear camera offers dual-aperture which means you can manually set a different aperture based on the lighting. On the front, there is an 8-megapixel snapper for clicking selfies and making video calls. When it comes to performance, the Samsung Galaxy S9 is quite impressive owing to the Exynos 9810 chipset. It is further coupled with 4GB of RAM for carrying out multi-tasking with ease. The device runs on Android 8.0 Oreo but is skinned with the brand's own custom Samsung Experience UI. This variant comes with 64GB of storage which is expandable up to 400GB via a microSD card. The Samsung Galaxy S9 packs in a 3000mAh battery unit that can get you almost a day's usage with full charge. It supports both, wireless as well as fast charging. The phone still retains the headphone jack even though various flagship devices have ditched it. It has a USB Type-C port for charging. All the other common connectivity options like 4G VoLTE, Bluetooth, Wi-Fi, etc. are present in the phone.